Over the past…er, six months…I have really neglected my camera. You may or may not have noticed since I’ve continued posting each week. However, I haven’t posted nearly the number of creative photos I once did (minus the photos of Felicity – of course I have been photographing her). In an attempt to jump-start my creative juices, I’ve decided to join a couple of challenges. Considering that Autumn is by far my favorite time of year, I think it’s the perfect time to re-engage myself with photography. By posting this message, I am publicly making the commitment so feel free to join me if you too are looking for everyday inspiration. 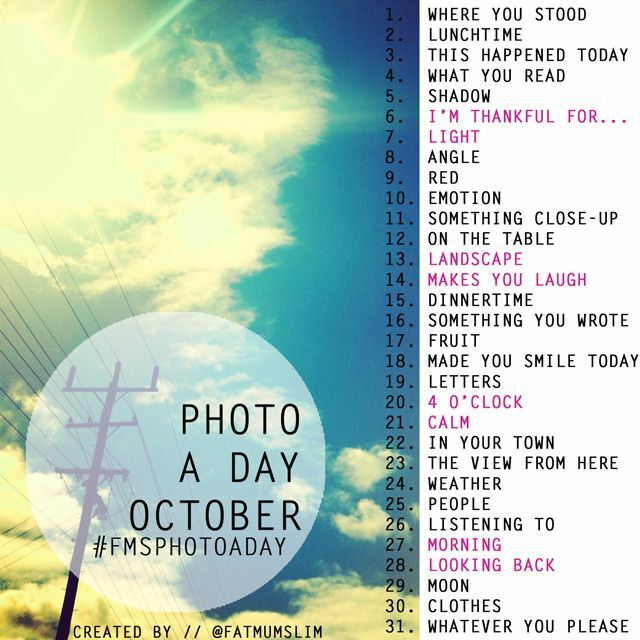 The first challenge I’ll be joining is hosted by Fat Mum Slim in Australia – Photo a Day Challenge: October. I’ve included the list below if you’re interested. Similar to this challenge is the list that Sarah Halstead posted a few weeks ago. 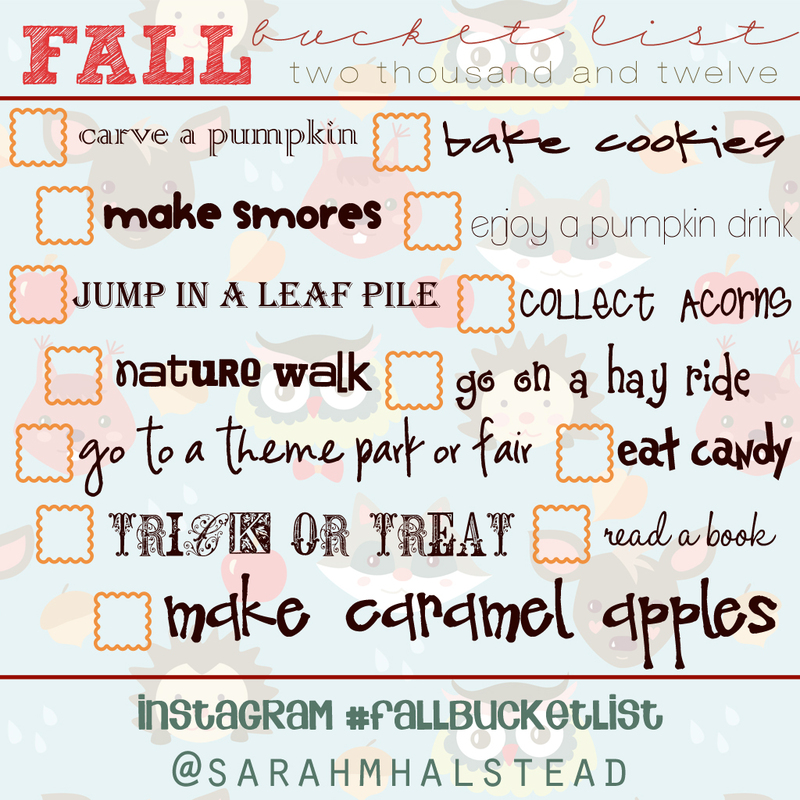 She calls it the Fall Bucket List and you can link up each Thursday or join via Instagram by using #fallbucketlist. I am going to attempt to photograph these items as well – might even include them in the scavenger hunt, but they’ll be a little more difficult to accomplish with an infant. Finally, there is the Nurture Photography – Fall 2012 Challenge hosted by LiveandLoveOutLoud.com and BumblesandLight.com. Each week, they are following the changing of the leaves with a simple prompt. This is going to encourage me to step outside and enjoy the world around me. The link up is each Friday and if you pay close attention…they also offer up some sort of photo tip each week. 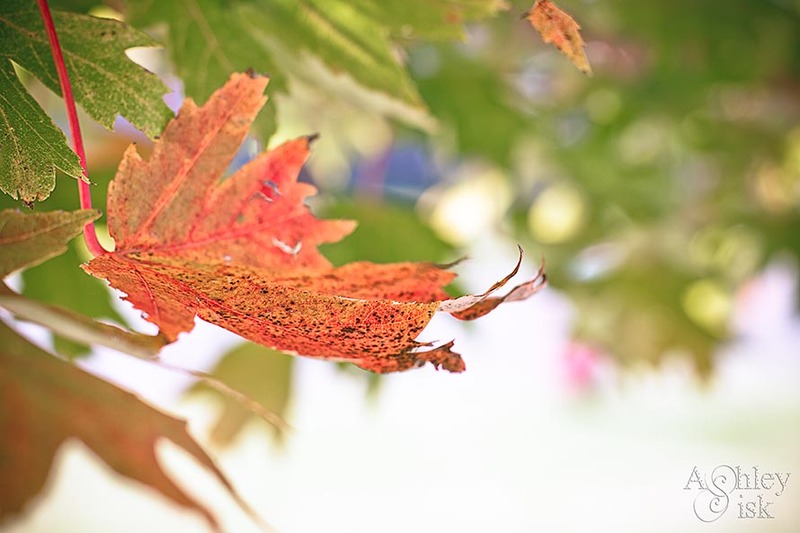 Most recently, Kristi offered up some Fall Photography Photo Tip Cards. So that’s what I’ll be up to this month (along with a few portrait sessions). What will you be doing?